Join us for this one-day women's conference! Continental breakfast and buffet lunch provided. The cost is only $30 and includes the conference, breakfast and lunch. Each and every woman has something to offer that no one else can. Regardless of your background, present career aspirations or future life trajectory, learn how to advocate for yourself and find your own personal, professional mission. It's never to late to make a fulfilling change! You, too, can join forces with other business and community leaders to offer mentoring and resolution to today’s toughest workplace challenges, guidance and inspiration to today’s upcoming executives. Women leaders are encouraged to attend this empowering event, where they will explore issues of importance through a dynamic speaker presentation and Q&A session. 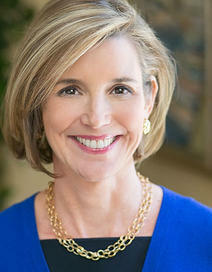 This year's keynote, Sallie Krawcheck is planning to provide attendees tools and techniques to improve their lives.